Need Lanyards Quick? These lanyards are stocked in our office for quick delivery! Want lanyards in a hurry? Our pre-printed lanyards are high quality and ready for use at festivals, corporate, social or non-profit events. 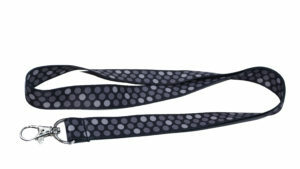 myZone Canada’s pre-printed lanyards are incredibly comfortable, water-resistant, stretch resistant and ship from our office in Vancouver within 1 business day. If you have the time and want something to represent your brand, check out our custom lanyards!